Do you want a more peaceful life? If you are struggling with anger, frustration and resentment it’s time to let it go. When you release low vibration emotions you open yourself up to more love, joy, peace and happiness. Who wouldn’t want that? It’s time to say goodbye to anger! As of today, you are making a commitment to yourself to let go of what no longer serves you. I have put together the perfect guided meditation to help you do just that. Here you can enter a beautiful and safe space where you can tap in to old feelings that you are ready to let go of, so you can start living and loving you and your life. You can finally be free from the feelings of frustration, anger and resentment that have been holding you back. This guided meditation is for you so that you can raise your vibration and live free from old anger. When you heal this part of you, you pave the way for a life full of love and joy. 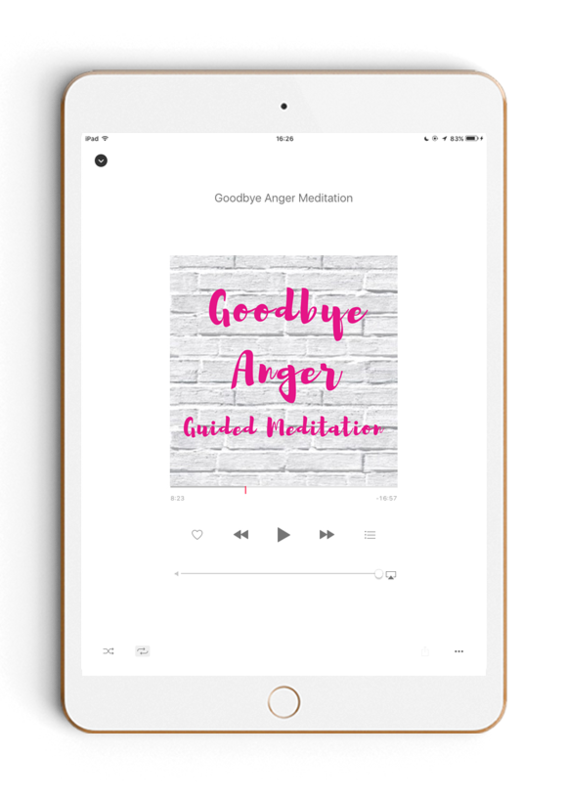 The ‘Goodbye Anger’ guided meditation is a unique and powerful journey that frees you from your past. Let go of old emotions and invite in a bundle of love and joy. This is the key to unlocking your potential, your love for life and it’s the start of your truest you. And fall in love with life all over again. Your mind learns through repetition. The more you listen, the greater the results. When anger appears in your life, this is your go-to meditation. This meditation creates a safe and healthy space for you to let go so that you don’t internalise or project your anger at others. If you are experiencing intense anger do this meditation every day for a week until you feel clear. Then return to it if and when you need it.